Deluxe Suite is the perfect choice for couples and/or families! All Deluxe Suites offer a large bathtub with hydro massage! This is the perfect suite to accommodate a family! 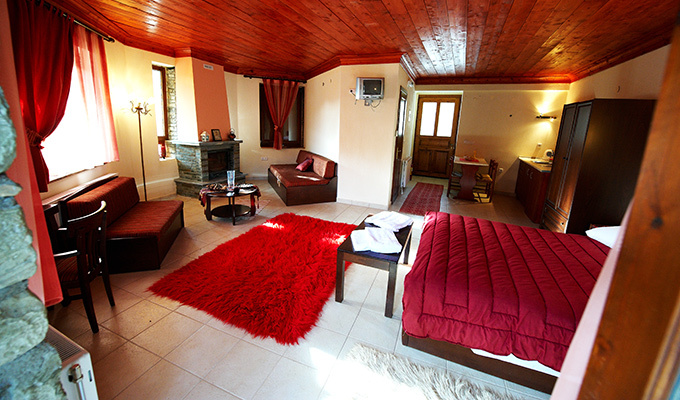 Our wonderful Deluxe Suite is well-appointed in a traditional design with interior stone-walls. Deluxe Suites feature a generous living room with a sofa bed, an elegantly designed bedroom with a king size bed and a large bathroom. 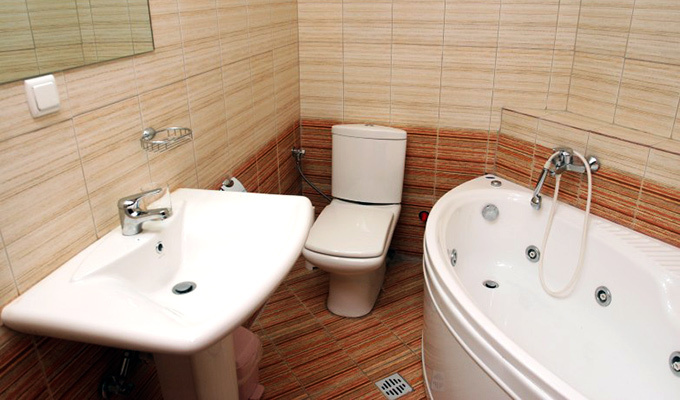 The lavishly equipped bathroom comes complete with a large bathtub with hydro massage. 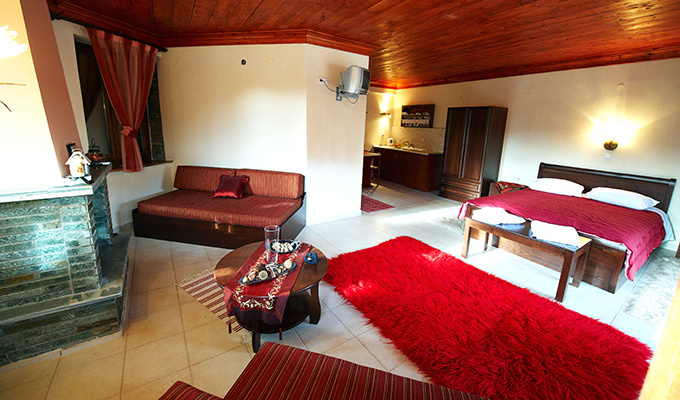 The Suite also offers a small living room with a traditional-style fireplace and a well-equipped kitchen. The Deluxe Suites have boast a spacious balcony overlooking the spectacular Aliakmonas river. Our Suites can accommodate up to 4 guests and offer first class comfort and traditional luxury design. Deluxe Suite is the perfect choice for couples and/or families.